Within the CrESt project, a scientifically founded and simultaneously field-proven methodological framework for the development of highly automated collborative embedded systems is to be created. The main object of the project, which is funded by the German Feder Ministry of Education and Research (BMBF), is to enable networks of embedded systems to independent and intelligent collaboration. The project “European Security Certification Framework” (EU-SEC) will aim to create a European framework for certification schemes and evaluation concepts to secure cloud infrastructures. EU-SEC will improve the business value as well as the effectiveness and efficiency of existing cloud security certification schemes. The Internet of Things (IoT) increases the risk of attacks on the software of systems caused even by simple execution errors. Software verification tools can make a significant contribution to ensuring the security and reliability of digital technologies. Within the scope of the project IoT (Internet of Things), funded by the Federal Ministry of Economic Affairs and Technology, an IoT testware is to be developed. The testing and certification of IoT solutions is to be made cost-effective for manufacturers. The focus is on systematic inspection processes and test methods in order to prove the technologies demonstrably and to improve the quality of IoT solutions. Within the EMYNOS project, a next-generation emergency communication platform ist to be designed and implemented. The project aims to coordinating communication among citizens, call centers and first responders. 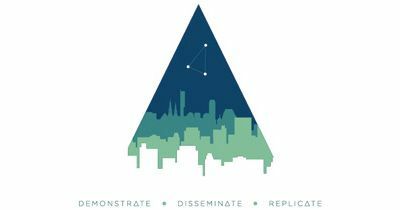 In the context of the EU’s Horizon 2020 initiative, Triangulum will lead the way towards a smart and sustainable development in European cities. Therefore, Triangulum will transfer designated urban districts into smart quarters within the “lighthouse cities” Manchester (UK), Eindhoven (Netherlands) and Stavanger (Norway). Cyber-physical Systems (CPSs) must be reliable, robust, efficient, safe, and secure, even in the presence of uncertainty. U-Test will aim to improve the dependability of CPSs by defining extensible MBT frameworks supporting holistic testing of the systems under uncertainty in a cost-effective manner. The business processes of banks depend on functioning IT-Systems. Malfunctions or outages, especially in complex data centers could result in high losses right up to insolvency of individual financial institutions. The project PREVENT has as goal, to develop methods and tools for a systematic security evaluation of data centers. EAGLE aims at equipping employees in local government administration in rural communities with a holistic training solution that supports learning of critical transversal skills such as ICT literacy, information literacy and professional management of change situations in entire organizations at all levels.